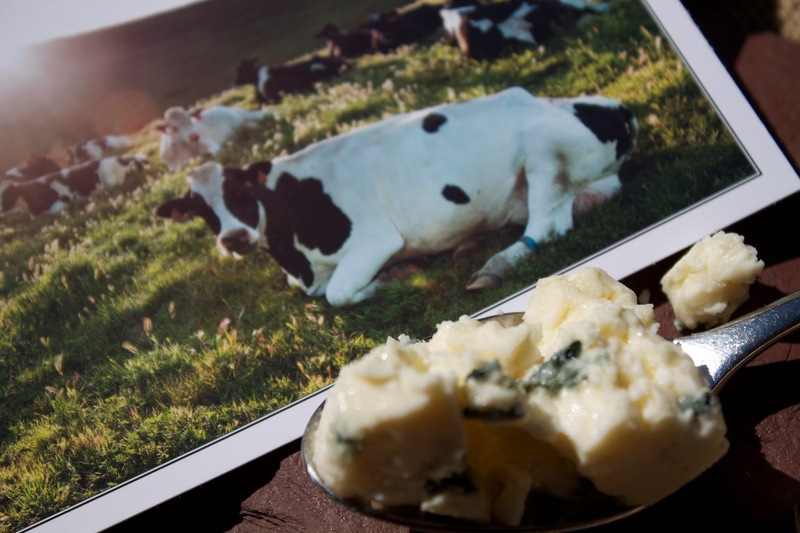 "You have to be a romantic to invest yourself, your money, and your time in cheese." I am feeling very inspired right now. 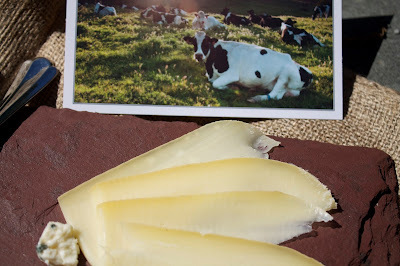 Yesterday I was sent some beautiful cheese from my friends at Point Reyes Farmstead Cheese Company in Point Reyes Station, CA. I received the Toma and Orginial Blue. Both cheeses are very special. They each are simple, yet complex with different flavor notes. 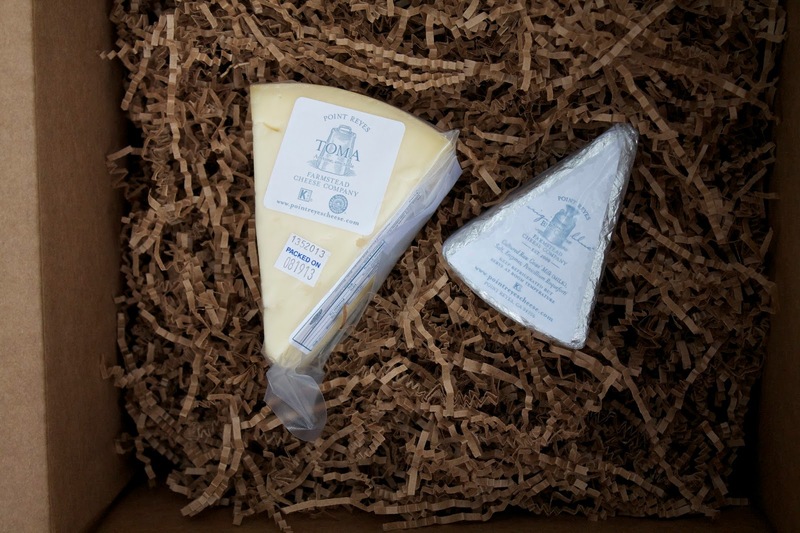 The Toma is described as being "creamy, buttery flavor with a grassy tang finish" while the tangy Original Blue notes are "sweet, fresh milk with a medium-to-strong punch of blue flavor". They are both unique and extremely mouth watering! "Cheese. Milk's leap toward immortality"
Cheese excites me and you know why if you have ever tried Point Reyes Cheese. When you try their cheese you not only taste the savory deliciousness of the product itself, but you taste generations of hard work, happy cows and passionate people. And whats better than that?! One of my favorite quick appetizers (or even desserts) is stuffing a fresh summer strawberry with Point Reyes's Original Blue cheese. It is the perfect balance of sweet, savory, salty, fresh and decadent. So simple but so yummy! It also makes the perfect 4th of July treat because it is red, white and blue after all! 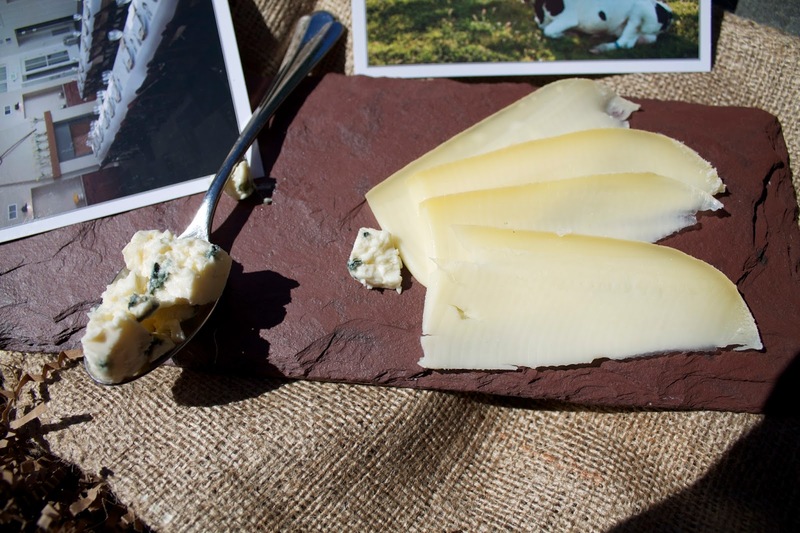 So don't just stand there, click here and order some fabulous Point Reyes Farmstead Cheese! Thank you SO much Point Reyes Cheese! That was so kind of you!